There has been a lot of talk, media articles and research lately about the interesting topic of “collaboration”. Collaboration is simply the practice of willingly working together towards a common goal to meet some specific need for the benefit of the company. Often, when you think about collaboration, you are immediately mindful of simply working with your colleagues who you are most familiar with. But the challenge comes when you are forced into situations where you have to collaborate with others from other across different departments or even organizations. For those of us with children or grandchildren, sometimes this collaboration across departments is like watching kids learning to play together in the same sandbox. You just might hear some squawking between a few individuals and you could even see some kicking up of sand. To make it really work, collaboration has some basic requirements that must be followed if you are going to be a successful collaborator. 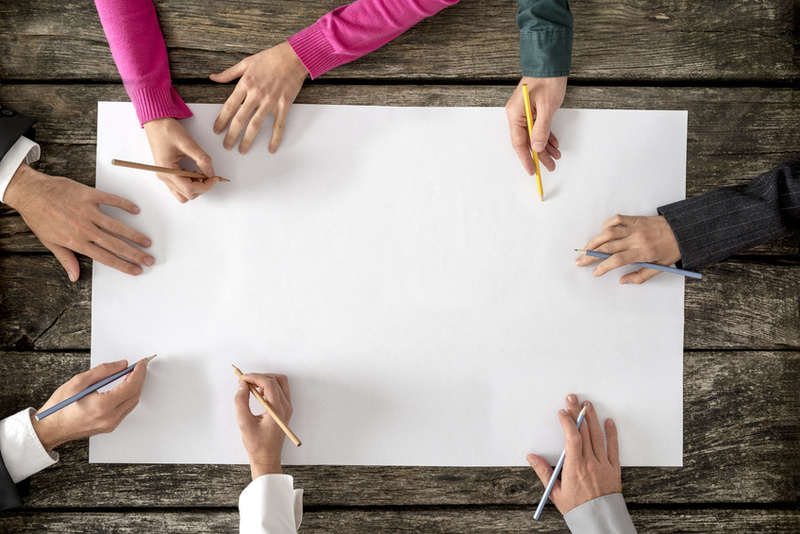 Consider the following seven items for a smoother collaborative outcome. 1. Openness: You first need to be open with one another on how you can accomplish the task before you as a team. A team is made up of different people with different roles. A receiver on a football team has a different purpose than a quarterback. Be open to what each person can do to contribute. 2. Need: Defining exactly what the project or assignment need is or stating what the problem to be accomplished is and when it is needed is half the solution. Clarification of the what, why and when goes a long ways to getting everyone on the team to be on the same page together knowing exactly what you need to do. 3. Strengths: It can seem like it is a good thing to work together. However, it is important to acknowledge there will be some “star” players who have strengths and abilities to do certain things that other simply cannot do. Identify your key people for different roles before starting your project. 4. Sharing: Like openness, everyone needs to be willing to share knowledge, expertise, time and resources to get the job done. People can hold cards close to their chests. But to collaborate requires a willingness to drop being a protectionist and to trust one another and share everything. No secrets! 5. Reciprocity: A cooperative team must follow the principle of reciprocity. This is the give and take between two individuals or parties. You don’t want a lopsided boat with more than half the team on one side – or you’ll sink! All team members need to be willing to participate and play their respective roles to achieve their very best. 6. Accountability: Bottom line is there is a job or problem at hand that needs to be solved or completed. Your teams have been assigned to get it done. All teams and their employees must be held accountable for getting it done well in the right way by the right time. 7. Feedback: It is good to have a debrief session after any joint venture of collaboration. People should self-evaluate how they personally contributed and what they could improve in the future. They can give a positive report on one or several people who made a difference. And they can give feedback on one thing that could be improved upon. Working together can be a rewarding experience if you learn and apply these basic fundamentals of collaboration. Question: When have similar principles of collaboration made a difference to you in your work?